The pulp industry’s solution to polluting pulp mills is even worse than the problem. Forestry scientists believe they have found a way of making paper from trees less polluting. Through genetic engineering they can produce trees with reduced levels of lignin or with lignin that can be more easily extracted. 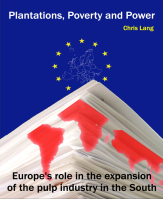 “The costly portion of the pulp and paper making process, from both an economic and environmental perspective, is attributable to the removal of lignins. Therefore, it is highly desirable to develop means by which lignin content is decreased, or make lignins more extractable,” explained forest scientists from Oxford University and Oregon State University in a paper published in Plant Biotechnology Journal in 2003. David Herod, a biotechnologist at the US Department of Agriculture argues that the scientists have everything under control. “We are using the best available science to make sure this technology is used safely,” he told Associated Press in 2001. Unfortunately, the best available science is part of the problem. The risks associated with reduced-lignin GM trees include trees which are weakened structurally and which are more vulnerable to storms. Reduced-lignin trees are more susceptible to viral infections. Reducing lignin can reduce trees’ defences to pest attack, which would lead to increased pesticide use. Low-lignin trees will rot more readily, with serious impacts on soil structure and forest ecology. 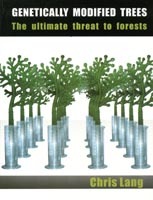 If reduced-lignin GM trees were to cross with forest trees these impacts would not be limited to plantations. Trees that cannot resist storms and which are at risk from attack by pests and viral infections would bring the survival of natural forests into question. Malcolm Campbell of the Department of Plant Sciences at Oxford University is one of the world’s leading researchers into lignin-reduced GM trees. He confirms the risks of “outcrossing” (the term that scientists use for trees in plantations crossing with forest trees). 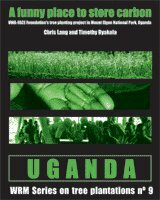 “Because most [plantation] trees have an abundance of wild or feral relatives, outcross, and display long-distance gene flow via pollen and sometimes seed, there is likely to be considerable activist and public concern about large-scale use of genetically engineered trees,” he wrote in 2003. Campbell’s and other forestry scientists’ solution to outcrossing is another techno-fix. They are working on genetically engineering trees to prevent them flowering. However, this presents two further problems. If the trees are indeed sterile this means thousands of hectares of trees without flowers, pollen, nuts or seeds. No birds or insects could live in such a plantation and the biodiversity of the plantation would be even lower than in today’s monoculture tree plantations. The second problem is that trees have very long lifespans. The only way of knowing that trees genetically engineered for sterility will remain sterile for their entire lifespan is by repeatedly conducting trials lasting the hundreds of years of a tree’s lifespan. 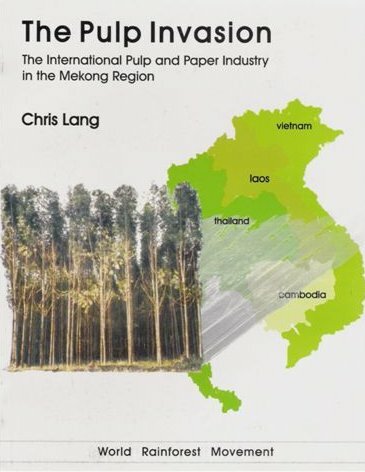 By focusing on lignin as the cause of pollution from pulp mills, Campbell and his colleagues can argue that reducing the amount of lignin in trees is a reasonable solution. They overlook other possible solutions such as using crops like hemp which have lower levels of lignin than trees. Rather than asking questions about the nature of the pulp and paper industry for which they are working, forest scientists are asking whether genetically modifying trees for reduced lignin will work. I asked Malcolm Campbell some questions about his work on genetically modifying the lignin content of trees. 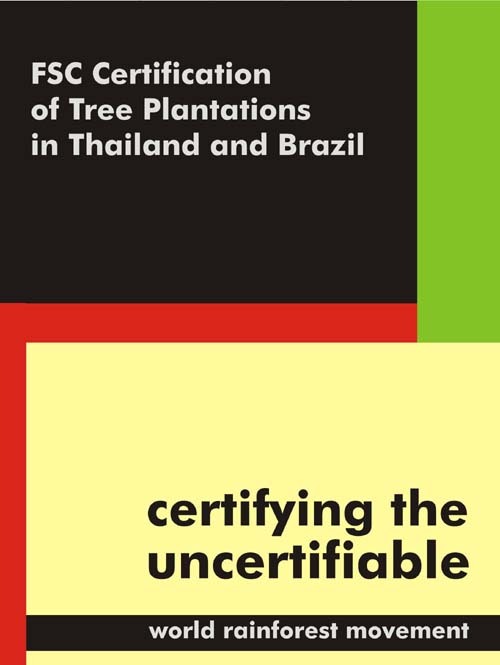 I asked him whether he had ever conducted any research into the impacts of large-scale industrial tree plantations on local communities in the South, and whether he had visited any local communities without representatives of the company responsible for managing the plantations. Campbell declined to answer. Instead, he invited me to visit his laboratory in Oxford, “so we can discuss the complexities of your questions at greater length”. Since its invention in Europe in the mid-eighteenth century, scientific forestry has been dedicated to meeting the needs of the timber industry. Simplified landscapes and vast monoculture tree plantations are a direct product of this science. 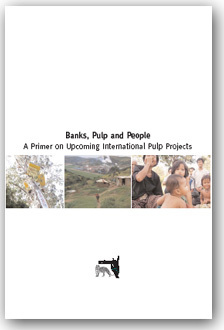 In the process of simplification local communities’ use of the landscape are ignored or violently suppressed. Genetic engineering of trees for reduced lignin is scientific forestry’s latest offer to increase the profits of the pulp and paper industry. It will not provide benefits for communities living near the GM tree plantations. Rather than solving the problems of monoculture plantations, tinkering with genes to make trees more amenable to the pulp industry will only make things worse.